As the name suggests, Boots Appetite Control tablets are designed to reduce the user’s calorie intake by suppressing the appetite. Appetite suppression is one of the oldest and most trusted methods of losing weight. When it comes to weight gains and weight loss it’s pretty much a numbers game. Eat too many calories each day and you are going to put on weight. Cut down on the calories and weight loss should ensue because, if the body cannot fulfil its energy requirements from food, fat burning will be initiated free up some extra calories to use instead. This being the case one of the easiest ways to lose weight is to adhere to a strict calorie controlled diet. The only problem is sticking to such a regimen is not easy at all. Hunger pangs are hard to resist and, in many cases, prove to be the reason why so many dieters fail to achieve their weight loss goals. Appetite suppressants can provide dieters with the extra help they need to stick to their diets, see them through to the end, and get the results they desire. We have trialled, tested and reviewed hundred’s of diet pills – fat burners, fat blockers and appetite suppressants. We use criteria such as it’s formula, past customer experience, customer service, value for money and safety. Boots say their tablets contain a specialised high swelling fibre that fills up the stomach to create a “pleasant feeling of fullness” that enables dieters to appease their appetites more quickly when eating their meals. They also suggest the tablets be used alongside appropriate levels of exercise to maximise results. Boots has a good reputation, so it is surprising to see them trying to sell a supplement without admitting its contents, but it is probable that the secret fibre is glucomannan. Also called konjac, glucomannan is a fibrous substance taken from the roots of a perennial Asian plant. The fibres cannot be digested, and offer no nutritional value, but have the ability to absorb large amounts of fluid. For this reason supplements that contain glucomannan are always taken with two or more glasses of water. As soon as the water combines with the fibres they expand considerably, filling up the stomach to create a feeling of fullness that suppresses the desire to eat food. This ability has been examined by the European Food Safety Authority and the EFSA concluded glucomannan “contributes to the reduction of body weight in the context of an energy-restricted diet”. Usage Instructions – Two capsules should be taken, with 2 large glasses of water, one hour before each main meal. Six capsules should never be exceeded in any 24 hour period. After 30 days of continuous usage supplementation should be ceased for a period of four days. Boots state use of their tablets may interfere with the absorption of nutrients. To rectify this they recommend their Appetite Control tablets be used alongside an A-Z multivitamin and mineral product. 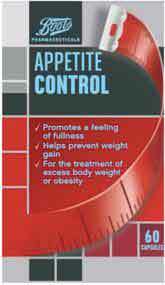 Boots state their Appetite Control tablets are not intended for users who have a body mass index (BMI) below 18.5. They further state the formulation is unsuitable for anyone who is pregnant, breastfeeding, or suffers from gastro-intestinal disorders, oesophageal stenosis or pre-existing bowel abnormalities. Diabetics should consult their doctor before commencing supplementation. 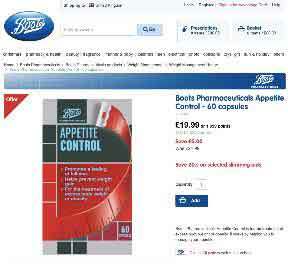 Appetite Control can be purchased from any Boots chemist store, and customers who prefer to purchase online can do so via the Boots website. Each pack contains 60 tablets and usually retails at £24.99 (about $40). Customers who have a Boots Advantage loyalty card can collect 96 points with each purchase. Although unwanted (unopened) products can be returned within 28 days of purchase, Boots do not offer a money back guarantee. 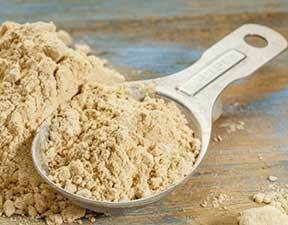 Although Boots don’t actually say glucomannan is the active ingredient in their Appetite Control tablets, it is the only ingredient that would swell in the specified way, while requiring so much water to do so. Glucomannan is a good ingredient, and its value as an appetite suppressant cannot be doubted, so it seems probable Boots Appetite Control may be an effective product. Boots have made an appetite suppressant that is quite expensive considering that’s all it does. There is a product that stands out to us as being the obvious choice, and it does so much more. 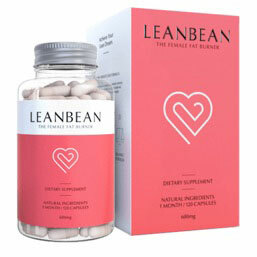 LeanBean can act as a fat burner and also an appetite suppressor. It also doesn’t over hype with unsubstantiated claims. Its real selling point though is it’s 90 day money guarantee and free worldwide shipping.